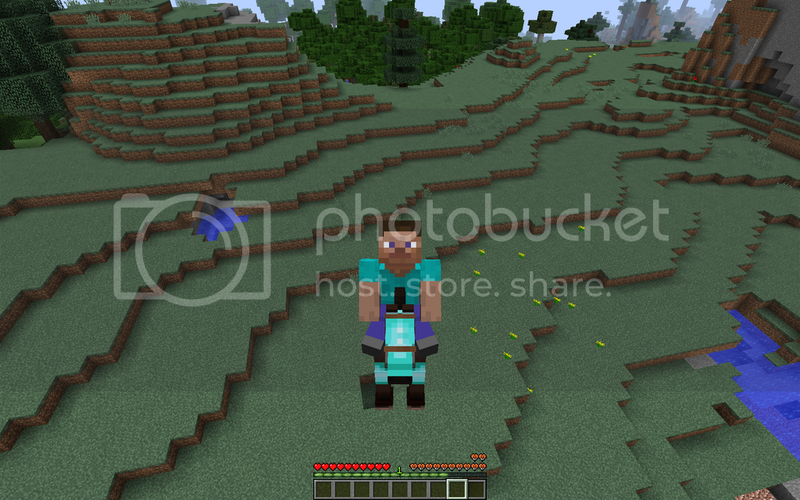 A simple Minecraft 1.10.2 mod that spawns a special type of horse in hills biomes that is capable of flying. Custom flying horse spawns in hills biomes. Tamable. Compatible with normal horse items and behaviours. Tested and working in both Single Player and Multiplayer worlds. -Special horse type that spawns in hills enviroment or by spawn egg. -Perform a 70% or more charged jump to start flying. *Press spacebar to gain height or alt to loose it. *Press control while flying to fly at full speed. -Minecraft Forge Mod Loader (FML) for Minecraft 1.10.2 Dedicated Server if you want to use it on dedicated server. Just download the file into your client mods folder if you want to use it in single player. Put it also in your forge dedicated server mods folder if you want it to be able to use in multiplayer. -Falling damage isn't calculated on server version. The horse never takes falling damage on server version. -There are no custom models/textures for the flying horses. -Player can still spawn flying horses that look like donkeys. -We should add particles to make a nice flying effect for the horse.